Online marketing tips for networkers. July 14, 2018 By SWAmazing Admin - Kung gusto mong kumita ng pera online na pambili ng mga latest GADGETS, pang Gimik TRAVEL, o pang KOTSE, mag CLICK ka dito! We are seeing indications that people still do search for things to buy online, find the blog that talks about the product, and then go on and actually buy the product. It's not all social media. Blogging and SEO still matter. Yes, Manny! Show me how to make money online! Why People Don’t Buy From You, And What You Can Do About It! A great condo in Katipunan, Quezon City! Pre-selling now. See http://ArtonCondo.com to learn more. This website is owned by an independent customer of Supreme Wealth Alliance Ultimate and is not an official company website. Income projections or any references to potential income that can be made are not a guarantee, nor typical of average business owners. As with any legitimate business venture, income is achievable only through proper work ethic, persistence and determination. You may make little or no money at all with this program. Please note that the Supreme Wealth Alliance Philippines, Inc (SWAPI) is operated by Franco Renato Chaves (Francis Chaves, COO of SWAPI) in Makati City. 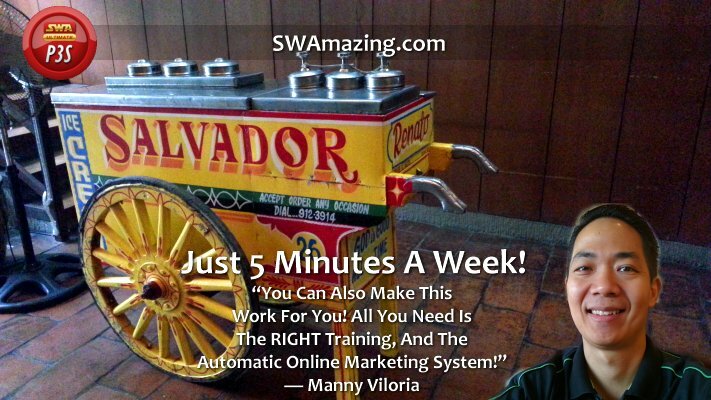 Copyright © 2019 SWAmazing.com · All Rights Reserved · Tara, mag Stock Market tayo! Click ka dito.